"Cartesian" This is a walk that has been created by the town of Descartes that can be made either on foot, by bike or in the car and it allows you to discover the sites and beauty of Descartes. The walk allows you to discover the history of the various sites and places of interest in Descartes. Come to discover the picturesque charm of Descartes and it's surroundings with these walks: 3 recommend three walks (a small pocket map of the paths is sold by the Tourism office). Le bureau d’information touristique est à votre disposition pour vous suggérer d’autres idées de promenades autour de Descartes et sa région. 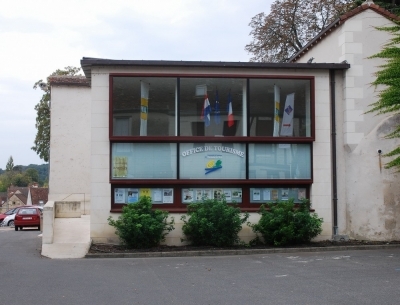 Une boutique de souvenirs et un service de billetterie proposant la vente de tickets à prix réduit pour visiter des sites touristiques des environs sont accessibles tout au long de l’année.